The Martian Review – The Martian is an American science fiction film released in 2015. During a manned mission to Mars, the base is hit by a Martian storm. They are forced to abandon the machine and lose one of the crew member Mark Watney in the storm and presumed to be dead. But Mark survives and has to find a way to survive till he gets a help in 4 years. Does he survive is the plot of The Martian. Director Ridley Scott has struck the right chord yet again to give a movie that is thoroughly entertaining and also appeals to your intelligence. I was not very much impressed with Exodus Gods and Kings, but The Martian makes it up for all. The movie would remind you of many lost alone movies like Cast Away and also the space movies like Gravity and Interstellar. The story is a compelling tale of human perseverance against all the odds. There is a lot of scientific accuracy behind many of the incidents that take place and a few in which they have taken some creative liberty to bring in dramatic elements. The movie is based on Andy Weir’s novel in the same name. Ridley Scott has chosen to focus on the determination and survival of a person more and let the scientific theories run in the background. This is one of the greatest strengths of the movie which makes it a widely appealing flick. Matt Damon has performed very well and this would be one of his most remembered movies. High Points: The movie is based on a best-selling Novel, The screenplay captures the essence of human perseverance, The visuals of the Martian planet, Matt Damon’s performance, Scientific theories and their accuracy. Low Points: Not many low points, the climax I felt was a bit over dramatic. Overall The Martian is a space movie that you would enjoy as you have enjoyed Gravity and Interstellar. The movie keeps you engaged for two and a half hour and is a trip worth taking when it is in theaters. Jurassic World Review – Jurassic World is an American science fiction adventure movie released in 2015. The movie is a sequel to the franchise of Jurassic Park. After 22 years of the incidents in the island of Jurassic Park there is a new theme park created with genetically altered dinosaurs. Things go awry when the newly created predator Indominous Rex breaks free into the wild. The movie of dinosaurs releasing after 22 years made it very special for this movie. Many of us who have seen the first installment had nostalgic moment of going to this movie. When Jurassic Park was released it was almost considered, as a sin for not have watched the movie. Although Jurassic World did not create the peer pressure but still drew people by recreating the nostalgic memories of seeing dinosaurs on big screen. Jurassic World has the chills and thrills that you expect from the movie. Although it can never match up with the first one due to the fact that we have already seen dinosaurs on screen, still it is successful in recreating the magic world much bigger and fancier this time. 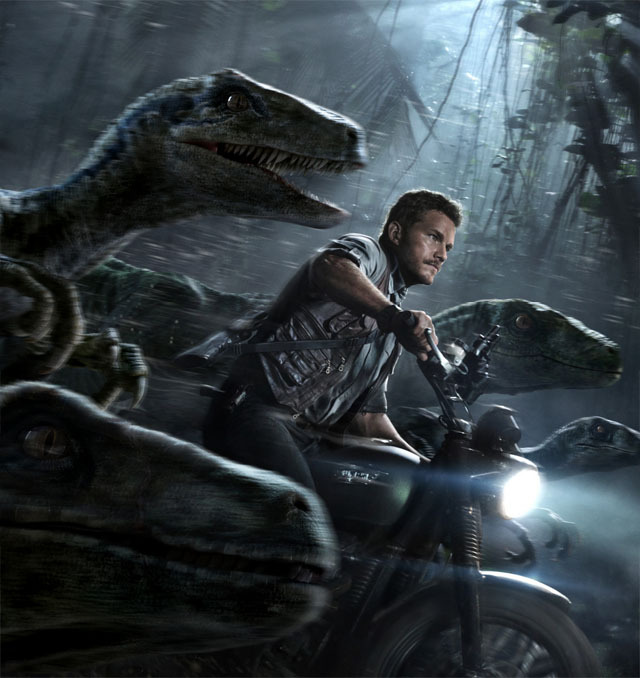 The movie’s money shot is the sequence in which the biker drives alongside running Velociraptors. It is said that Steven Spielberg wanted to create this scene in the new installment of the movie, which was originally in the Lost World book but he could not add it to the movie. The end output had worked very well. Director Colin Trevorrow should applauded for recreating the magic of Jurassic Park all of us have enjoyed in the past. The imagination of a theme park has gone wild and the sequences are visually very appealing. It is also great to see Irrfan Khan having a substantial role in this compared to his role in The Amazing Spiderman. It is really unfair to compare this with the first one then you may not enjoy it very much. Go with an open mind and get enticed with the visuals you see on screen. If you have kids take them along with you they would enjoy this a lot.